IKM Subsea said it has been selected to provide remotely operated underwater vehicle (ROV) services as part of AKOFS Offshore's five + three year light well intervention (LWI) services contract on the Norwegian continental shelf (NCS) from Equinor. IKM said its 400 Million NOK ($47.2 million) contract with AKOFS includes the construction and mobilization of two Merlin UCVs (ultra-compact vehicles) on board the well intervention vessel AKOFS Seafarer. IKM will also supply ROV services with personnel and onshore support for the duration of the contract. 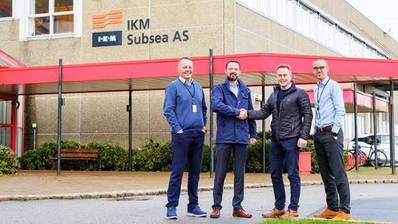 The ROVs will be built by IKM Subsea’s sister company, IKM Technology, in Bryne, Norway, where both companies are headquartered. Delivery and mobilization of the ROVs is scheduled to take place be mid-2019.